According to the global aerosol cans market report, the demand for aerosol cans is expected to grow at a CAGR of 3-4 percent until 2022, with the maximum demands from the APAC and LATAM regions. Deodorant is the largest end-user segment for aluminum aerosol cans, accounting for 50 percent of the overall demand. The major factors driving the aerosol cans market include the increasing disposable income of the middle class in developing nations and increased hygiene awareness, leading to an increase in demand for personal care products, which often use aerosol cans. The expansion in the applications of aerosol cans is another key factor driving the growth of the market. As aerosol cans are becoming more compact and user-friendly, their usage is expanding to other segments including skin care, food, home care, medicine, gardening and more. Apart from the applications of aerosol cans, there is immense potential for innovation in terms of the materials used and dispensing systems of aerosol cans, so as to optimize their current usage. The aerosol cans market has not yet completed a century, however, there are significant challenges that pose a threat to the market’s growth. Aerosol cans are highly pressurized and typically flammable, which make them dangerous to use. Often users believe the gases inside to be a variation of air, and thus harmless, however, the gases used in aerosol cans range from nitrous oxides to mixtures of hydrocarbons and are generally unsafe to inhale for extended periods of time. The gaseous propellants used in aerosol cans often pose a threat to the earth’s ozone layer. Although the use of harmful chlorofluorocarbons as propellants have been discontinued, an entirely environment-friendly propellant is yet to be discovered. Apart from the environmental concerns during the use of aerosol cans, they are also not easy to dispose of since they cannot be easily recycled. The expenses involved in the manufacture of aerosol cans also poses a challenge to the growth of the market, especially in developing countries. 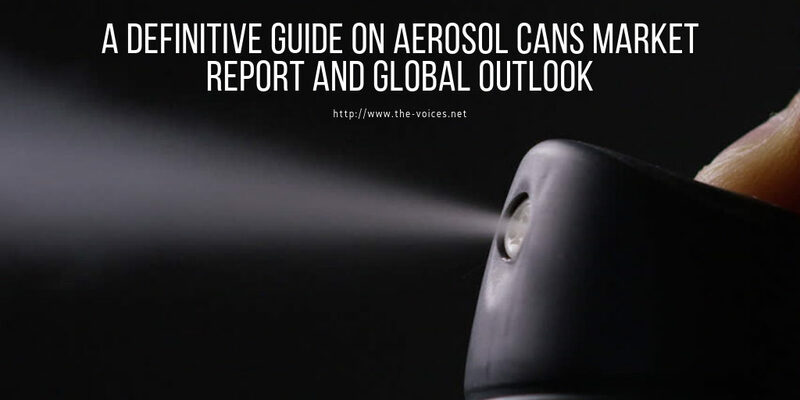 The outlook for aerosol cans at a global level is positive, with growth predicted for developed and developing nations. Higher incomes and purchasing power are expected to drive the aerosol cans market in developing nations, while in developed markets, there is a greater market for aesthetically appealing and easy to use aerosol cans. Further innovations in the materials and technology used are poised to further drive the market growth. The market for aerosol cans has developed and expanded significantly since the first patent for aerosol spray technology was filed. Aerosol cans have become a common part of day to day life, mostly led by the personal care segment. There is still potential for further developments to make the aerosol cans safer, sustainable and environment-friendly.